Is this what the new iPhone will look like? A (somewhat sketchy) new report claims that the tenth anniversary iPhone, commonly referred to as the iPhone 8, will instead by called the iPhone Edition. In addition, it suggests that the major form factor redesign that’s been reported on may turn out to be less drastic than some are imagining — although changes will include features like a rear-mounted Touch ID sensor. The report in question was reportedly based on the sighting of a final-stage iPhone Edition prototype at the factory of one of Apple’s manufacturers. 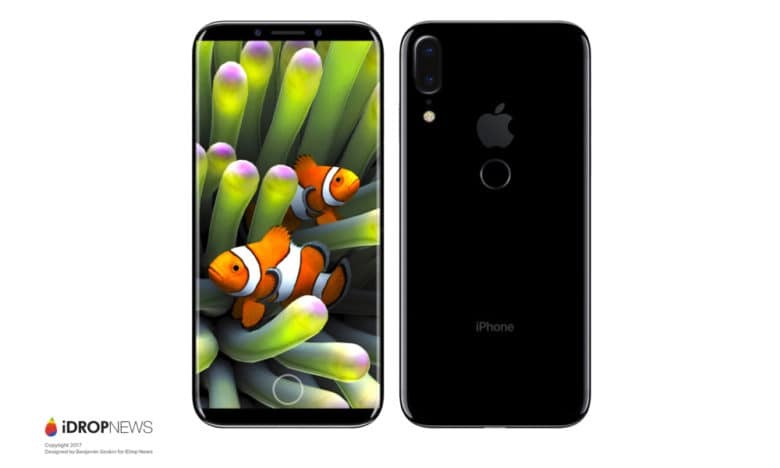 According to the report, which is accompanied by renders showing the design, the iPhone Edition won’t feature a Touch ID sensor embedded beneath the display, but rather a fingerprint scanner on the rear of the device. There’s no sign of the MacBook-style Touch Bar, either! It also won’t come with the glass back plate, but will instead stick to having a metal back plate as the result of glass’ tendency to shatter when dropped. On top of this, it will reportedly boast a slightly-curved 2.5D OLED edge-to-edge display. Whether this will come to pass remains to be seen. There are certainly reasons to be skeptical — such as the fact that Apple reportedly embraced the all glass body on account of the requirements of wireless charging tech, which today’s report claims the iPhone Edition will have. For now, we’d suggest you take this with a large pinch of salt — although given the fact that the iPhone hasn’t received a major form factor redesign since 2014, a lot of customers are undoubtedly hoping for something big from this year’s iPhone refresh. Would you be excited by this iPhone? Leave your comments below.